Clifford J. Levendusky, 78, of County Highway 110, Broadalbin, passed away Thursday morning, February 7, 2019, at St. Mary’s Healthcare, Amsterdam with his loving family at his side. He was born in Amsterdam on November 26, 1940, a son of Joseph and Genevieve Drozd Levendusky and a 1958 graduate of Wilbur H. Lynch High School. Cliff was a veteran of the U.S. Air Force and proudly served from 1958-1962. While in the Air Force, he specialized in air traffic control. He was employed as a steamfitter at GE in Schenectady and later worked at Knolls Atomic Power Lab. Mr. Levendusky retired from Lockheed Martin Corp. in 2000 as a mechanical engineering planner. After retiring, he enjoyed wintering in Florida. 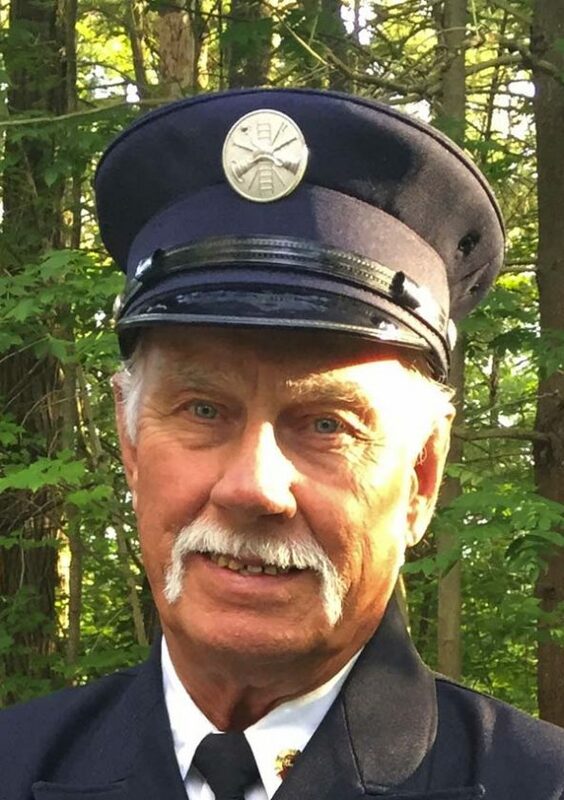 Cliff was a member of the American Legion Post 337 in Broadalbin, the Sacandaga Boating Club, the Johnstown Moose Club, and a member of the Kennyetto Volunteer Fire Company. He was a former member of the Northern New York Paddlers Club and the Schenectady Winter Sports Club. Cliff was an avid alpine skier, an avid golfer, enjoyed canoeing, and boating on the Sacandaga. He loved life, his family, and his many friends. He was a prankster and was good at telling bad jokes. In addition to his parents, he was predeceased by a brother and sister-in-law, Richard and Sandra Levendusky. Survivors include his wife, Elizabeth “Betty” Dunne Levendusky, whom he married on November 18, 1967; three children, Shannon (David) Mathers of Hilo, HI, Mark (Jamie) Levendusky of Broadalbin, and Brian Levendusky of Oswego; a brother, Bruce (Adrienne) Levendusky of Farmington, NY; five grandchildren, Tristan (Aya) Mathers, Gwendolyn Mathers (Piotr Walczuk), Alexander Mathers, and Christiona and Angelina Levendusky; a great-grandson, Elliot Mathers; a sister-in-law, Rita Carzello of Enfield, CT; his beloved granddog, Odie; and several nieces, nephews, and cousins. Calling hours will be held on Monday from 4 to 7 p.m. at the Robert M. Halgas Funeral Home Inc., 111 County Highway 106 (corner of Route 29 and Black Street), Johnstown. A Mass of Christian burial will be celebrated on Tuesday at 11 a.m. at St. Joseph’s Church, 7 North Street, Broadalbin, with the Rev. Donald Czelusniak, officiating. Burial with military honors will be in the spring at the Broadalbin-Mayfield Rural Cemetery. Memorial contributions may be made to the Kennyetto Volunteer Fire Company, in care of the funeral home. The family would like to thank the staff at Albany Medical Center, Wilkinson Rehab, and St. Mary’s Progressive Care Unit and ICU; and Dr. David Shaffer, Dr. Kevin Cope, and Dr. William Mayer for the compassionate care given to Cliff.